Housing represents a major cost for many of us. Whether buying or renting, the cost of housing is something that we all have to deal with. It can be cheaper in many cases to rent rather than buy. Finding a cheap apartment to rent can provide you with a place to live, while at the same time helping you stay within your budget so that you end up spending too much. If you are looking for a cheap apartment to rent, here are some things to consider. The first step to any type of shopping is to know what you can afford. Whether you are buying a home, looking for a new car, or apartment-shopping, you need to know what you can afford first. Consider your budget, and then decide how much you can afford to pay for an apartment. Don’t forget to estimate your utilities as well. Remember that a bigger apartment also means higher utility costs. 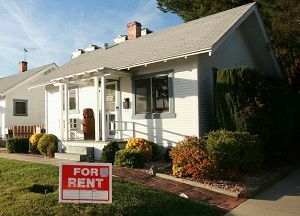 Think what you can afford in terms of rent + utilities. Most apartment managers can give you a rough idea of what the utilities cost in each type of unit. Once you know what you can afford, only look at apartments in that price range. Don’t get your hopes up by looking at great apartments first; cheap apartments aren’t usually the high-end apartments. Make sure your expectations are realistic so that you can get the best apartment for what you can afford. Your next move is to shop around. There are plenty of online places to help you find cheap apartments for rent. These sites can all help you find and compare apartments (and don’t forget good ole Craigslist). One of the great things about these apartment-shopping web sites is that you can specify what you are looking for. You can search for apartments that have the number of bedrooms and bathrooms that you need, as well as those that are in your price range. These web sites allow you to narrow down your choices so that you are only looking at what you want, whether it’s amenities or price. Create a search that narrows down the possibilities by price so that you can be assured that you will only be shown cheap apartments in your price range. You can also ask a real estate agent for help. In some communities, it can be difficult to find all of the rentals online. In some cases, a real estate agent has access to listings that others might not know about. You can share your requirements, and then get help finding the right fit. Make sure you understand how the real estate agent is paid. In some cases, it’s possible to get the help of an agent that is paid by the landlord or the rental management company, and you won’t have to pay anything. Even if you do have to pay for the help, if you can find an “insider” deal, it can worth it. Don’t forget to tap into your network for leads. Friends and family members might have a good idea of something that’s available. Maybe there’s a basement apartment for rent by the friend of a friend. Perhaps your aunt knows of someone who is looking for a roommate. Let your social network (online and offline) know that you are looking for cheap apartments for rent. It could be that you can get a recommendation from someone you trust — and you are more likely to get a “friends and family” deal this way. If you are married and have kids, you might not be very flexible on the living arrangements. If you are single, though, you might have more flexibility. You can live with roommates. Also, instead of renting an entire apartment, you might be able to rent one room in a house, or make do with a cheaper studio apartment. Think about the living arrangements, and look for creative ways to save money on your housing costs. No matter your situation, you can find cheap apartments for rent. You might have to be a little less picky, or willing to get creative, but it’s probably possible to find something in your price range. Photo credit: Living in Monrovia. There are also For Rent booklets in places like grocery stores and some hotels that have very complete local listings for standard apartment complexes.